Perhaps you’re one of the millions of individuals who have kicked the pack a day habit – finally. Or maybe you have given up your cigars for good this time. First of all, congratulations! Secondly, what are you doing about the smell in your home? Now that you have quit your nose has been re-set and you can tell when someone else has been smoking right away. There is no hiding it. But just as you have become able to recognize the smell of fresh smoke, non-smokers will always know you have been a smoker when they visit your home. Even though you cannot pick up on the smell, they can. Cigarette and cigar smoke can permeate your carpeting and even your wall paint. 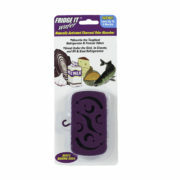 It definitely can linger in your upholstered furniture and even fresh bedding that has been in the linen closet. 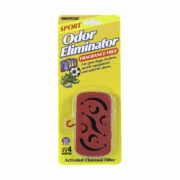 Sprays and air fresheners just cannot eliminate the lingering stale odors. Innofresh can! How do I eliminate cigarette and cigar smells? 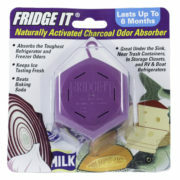 If you really want to get rid of the smoke odors for good, place one Fridge IT cube in each room of your home. They are small and are unobtrusive. 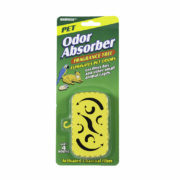 Just because they gather all the unwanted odors into their surface does not make them smell bad at all. One cube should last five or six months. If there is one room in your house where you smoked the most, you can place two Fridge Its in opposite corners to quicken the freshening action. The activated charcoal in Innofresh odor absorbers is a material that has an exceptionally high surface area of microscopic pores. This network of microscopic pores is where the incredible ability to absorb and eliminate cigarette odors takes place. The reason that surface area is important is that the greater the surface area, the greater the opportunity to capture odor contaminants from cigars, pipes or cigarettes. As odors pass through our ventilated activated carbon filters it also “pulls” odors from the air holding them secure in its micro pockets. 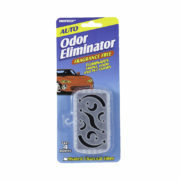 When odors pass through our carbon filter, they are attached to the carbon pores and are trapped. Our patented design and innovative ventilated air flow allows for the optimal passage of air through the maximum surface area of each activated carbon odor absorber. Our Fridge IT cubes don’t just stop there. Our unique, patented process then takes the activated carbon through another step called porous technology which scientifically blends the activated carbon into a single molded carbon element. The result is a highly effective odor absorber without small granules, messy charcoal powders and carbon dust usually found with other carbon products. Use Innofresh and both you and your house can become nicotine free!